Anyone caught doing photography or videography will be removed from the venue immediately. LAUGHTER IS THE BEST MEDICINE. 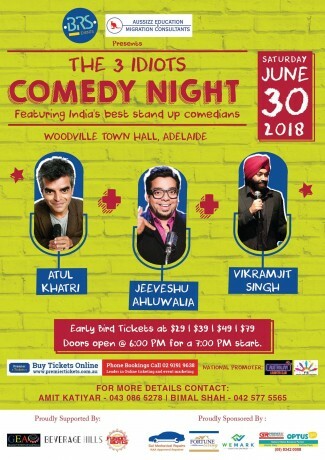 Featuring The Best of Stand Up Comedy Talent From India. Live Performances by Atul Khatri, Jeeveshu Ahluwalia, Vikramjit Singh. Performing 1st Time In Australia & New Zealand. About Atul Khatri: I’m a 40+ guy, and I’m talking about my age not IQ. A Mumbai based businessman who got up late in life and decided to do English stand-up comedy so that I could tick it off my bucket list. About Jeeveshu Ahluwalia: SALMAN KHAN OF THE FAT WORLD. That’s what Jeeveshu is known as in the comedy circuit. After being diagnosed with Monday allergies, he quit his teenage (16 year old) job and walked away to do Stand-Up. Three years later, he’s happier bringing roaring laughter to thousands than lecturing a corporate smartass. About Vikramjit: Vikramjit Singh is a comedian with a finger on the pulse of urban India: A pulse he has set racing for everyone from 20-somethings in bars, high-heeled corporate types in conferences or celebrities in Page 3 events. Premier Tickets is an online event marketing and ticketing agency. 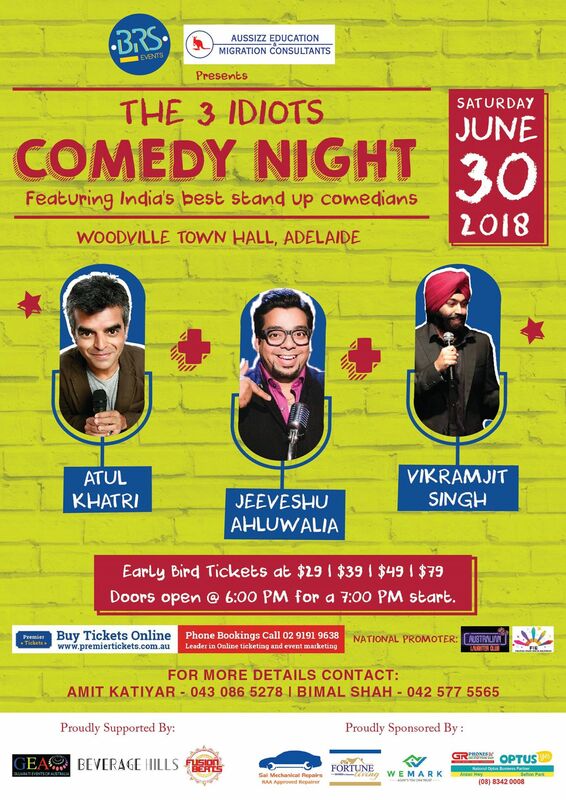 Premier Tickets will NOT be responsible for any changes related to the event schedule, artist, venue or cancellation and refunds related to the tickets for The 3 Idiots Comedy Night in Adelaide.